Shoot 45.7 megapixel RAW images at up to 9 fps. Nikon recently teased a full-frame D850 for its 100th anniversary, hoping it would fulfill the wish-lists of pro photographers. It has now unwrapped the DSLR and seems to have wildly succeeded with that goal. The D850 is entering medium-format territory, resolution-wise, with a 45.7 megapixel sensor, and can push those images through the camera at 7 fps, or 9 fps with the optional battery grip. And this time, Nikon didn't leave videographers out, as it can handle 4K video at 30 fps. The D850's sensor is a pretty big jump in resolution over its predecessor, the 36.2-megpixel D810, and Nikon says it has an "unprecedented combination of resolution, dynamic range, ISO and processing power." It's the company's first DSLR to boast a back-side illuminated (BSI) CMOS sensor, and eschews an optical low-pass filter (OLPF) to preserve maximum sharpness. Nikon didn't mention who built it, but Sony uses a pretty similar sensor on its 42-megapixel, full-frame Alpha A7R II. ISO ranges from 64 to 25,600, but is expandable from 32-102,400. 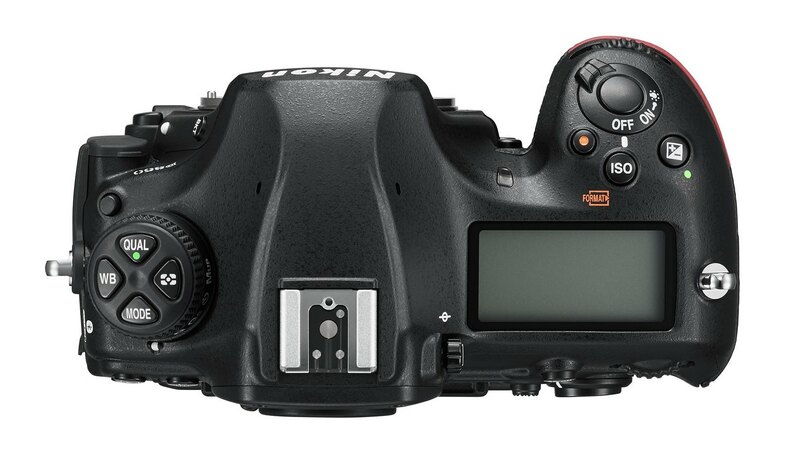 It borrows the D5's rapid-fire 153-point, multi-cam 20K autofocus, with 99 cross type sensors. Thanks to a new Expeed 5 image processor, you can buffer up to 51 frames of 45.7-megapixel 14-bit RAW imges, or 170 frames at 12-bits, making the higher frame rates more useful. The D850 also has a "silent shooter" mode, so you can operate in "complete silence" using Live View and the electronic shutter -- handy for shooting sensitive events. Video-wise, you're looking at 4K UltraHD (3,840 x 2,160) resolution that uses the full width of the sensor at 16:9, "to increase lensing options and provide a true field of view," Nikon says. You can also capture 1080p video at up to 120 fps. Timelapse freaks get 8K images using the built in intervalometer, or 4K in-camera. UltraHD video can be captured to the D850's memory cards (XQD or SDHC II). However, higher-quality 4:2:2 8-bit uncompressed video (no 10-bit, sorry) is only available via the HDMI output to an external recorder (that's very similar to how Sony's A7R II and A99 II work, by the way). Videographers also get focus peaking, zebra stripes, and inputs (3.5mm, but still) for headphones and a microphone. As for the rest, there's a tilting, 3.2-inch touchscreen, radio flash control, three sizes of RAW files and a battery that offers 1,840 shots at full resolution or 70 minutes of video on a charge. You'll also get dual card slots, illuminated buttons, focus stacking and WiFi and Bluetooth connectivity. The magnesium body is weather sealed. 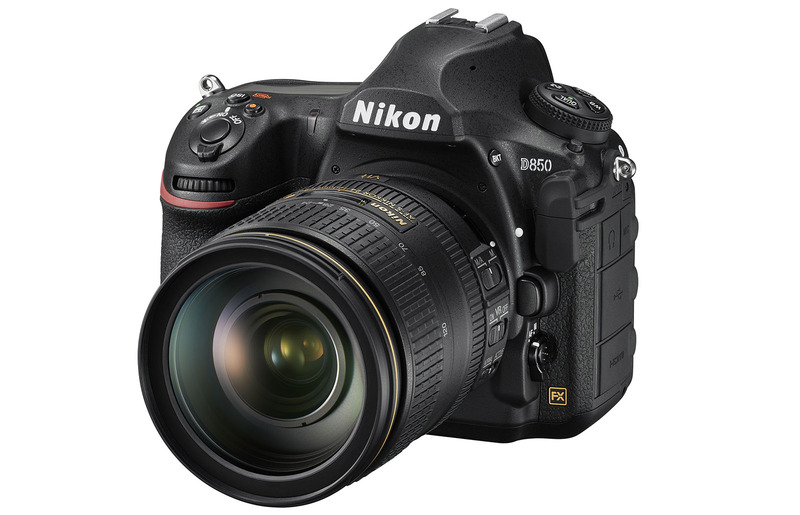 Nikon's D850 should please landscape, event and portrait photographers, and even sports shooters, to a lesser extent. Though it can't quite keep up with the D5's 12fps shooting speed, the much higher resolution will give you more cropping options and better quality. In that sense, it's also a pretty good response to Fujifilm's $6,500 GFX 50S, a medium-format 51.4-megapixel camera. In fact, Nikon specifically mentions the term "medium format" several times in its press release, likely in response to Fujifilm (and Hasselblad). Nikon also reminds of us its much more comprehensive FX lens collection compared to its medium-format rivals. It's also at least keeping up with Canon's 50.2-megapixel 5Ds -- it doesn't match that model's resolution, but it waxes it in nearly every other way. As for the Sony A7R II, that mirrorless model has very similar specs and is much lighter, but plenty of pro shooters still prefer a real optical viewfinder, and again, Nikon's lens selection is inarguably better. The closest rival to the D850 might actually be Sony's A99 II SLT, which can actually shoot a bit faster at 12fps and costs nearly the same. Speaking of, you're going to pay a lot for Nikon's new model, but the price seems fair for what you get. The D850 costs $3,300 for the body only, and the MB-D18 Multi Power Battery Pack adds another $400. It'll arrive sometime in September 2017.